Plans are underway for the second annual Mesothelioma Race for Justice! 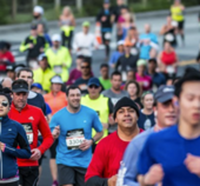 Our 2019 race will take place on Saturday, September 21, 2019 at 9:00 AM. Join us again as we take in the gorgeous fall scenery on the trail at the Lake County Forest Preserve Half Day Location for the second year running. Don’t miss out on our Early Bird Registration! Beginning March 1, 2019, past participants can take advantage of discounted fees and register for $25. Regular registration opens on April 1 and costs $40. Stay tuned for more Race for Justice updates, including after-party info and raffle sponsors, by signing up for our newsletter!